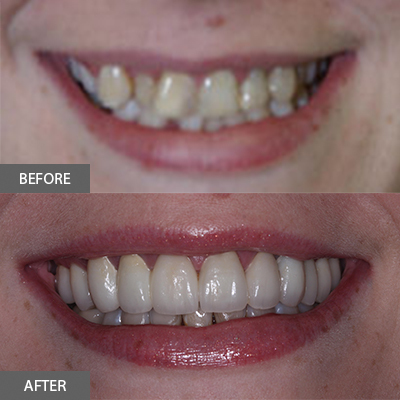 Case Eight: Redo of All Upper Crowns. 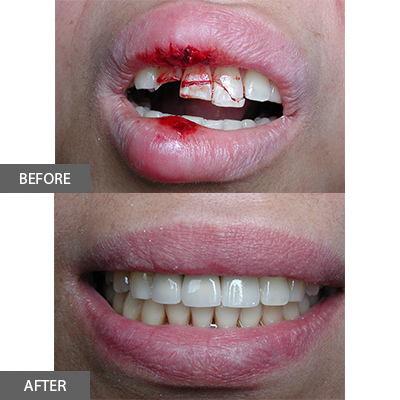 Case Nine: Fabrication of a Porcelain Fused to Metal Bridge. 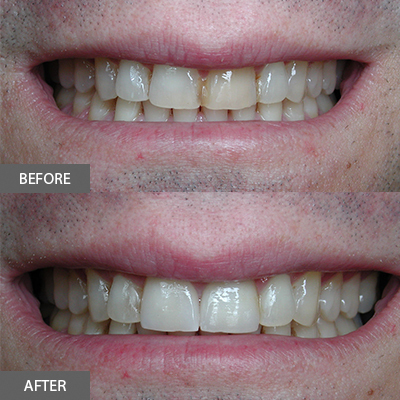 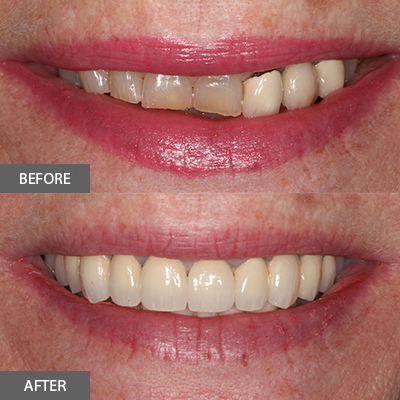 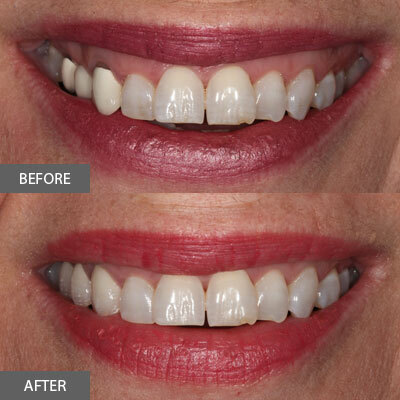 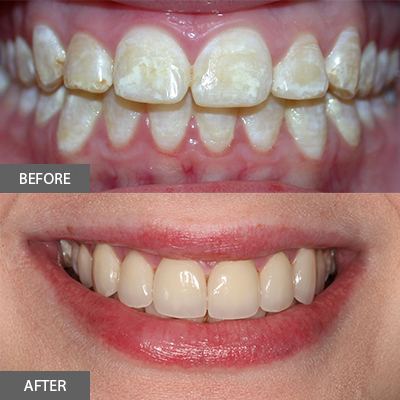 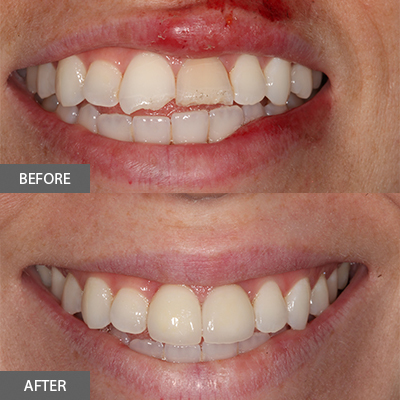 Case Ten: Fabrication of Four Upper Anterior Porcelain Veneers. 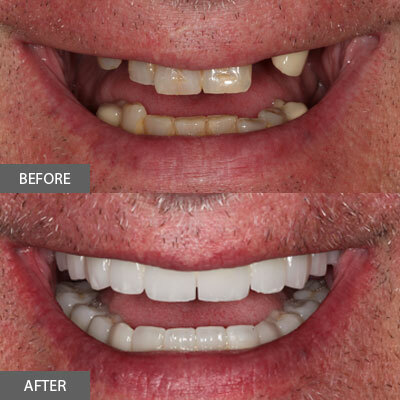 Case Eleven: Removal of Upper Teeth and Fabrication of a Fixed Implant Retained Bridge. 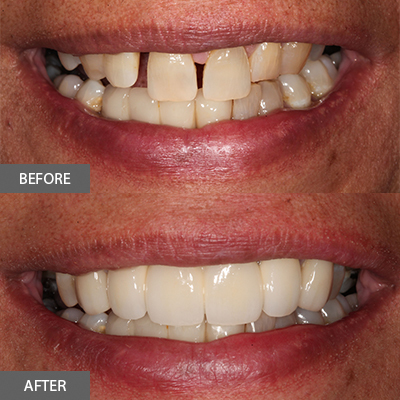 Case Thirteen: Redo with Porcelain Fused to Metal Crowns.